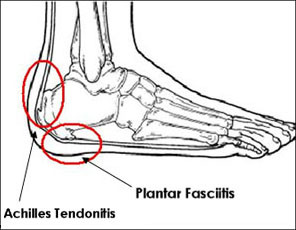 Plantar fasciitis: It is the most common cause of heel pain. In this condition, the pain is more severe in the morning but becomes less painful as the day continues. It occurs due to tiny tears in the plantar fascia.The plantar faschia is a tissue band that connects the bottom of the heel bones to the ball of the foot and is involved in walking and running, giving spring to the step. If left untreated, the symptoms usually worsen and can lead to problems with the knee and hip and can cause back pain due to difficulty walking. Those who frequently stand or walk throughout the day or those who run are most likely to develop plantar fasciitis. barabarabowler is using Hatena Blog. Would you like to try it too?